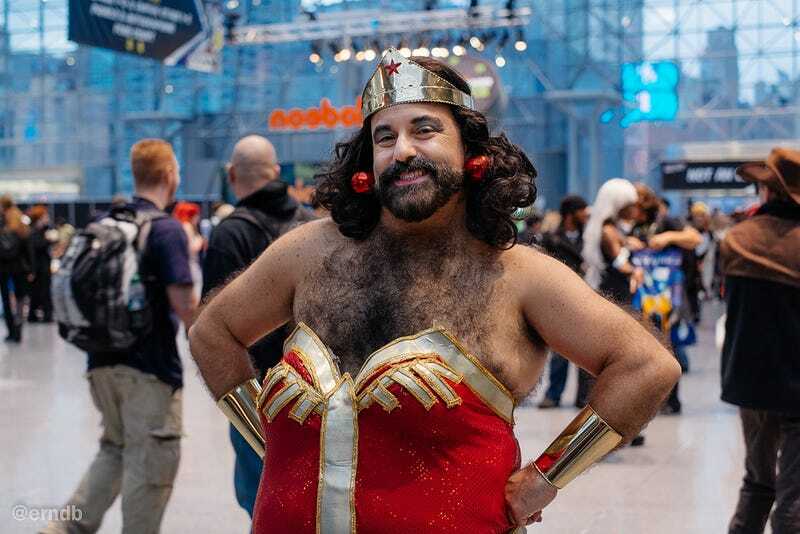 Glamorous and beautiful, awe inspiring and terrifying, hilarious, or just plain weird — Comic Con has a way of bringing out the most interesting people. What's most impressive; the attention to every minute detail to keep a costume as accurate as possible? The ability to assume and maintain character for an entire weekend? Or is it simply the balls of steel required to trounce around New York City in full geek credible garb?